SC50RR ,organizes the pre '83 50cc classicracing championship "Eurocup"
SC50RR ,organisiert die pre '83 50cc klassikracing Meisterschaft "Eurocup"
SC50RR organiseert het pre '83 50cc classic racing kampioenschap "Eurocup"
It is a racing class for classic 50cc GP racing bikes and similar machines dating from between 1962-1982. The goal is to have aprox. 5-6 races each year in different European countries and on various racetracks. Eurocup is a friendly hobby ,we want to be and stay one big family. 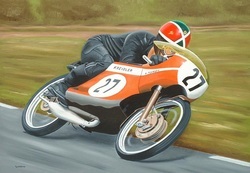 The riders are ranging from toplevel former GP riders to collectors of racingbikes without much racing experience. We are an internatonal racefamily too ,riders from : The Netherlands ,Germany ,Belgium ,Sweden ,Finland ,Serbia ,Austria ,and we are hoping to welcome more..
May we welcome you ?